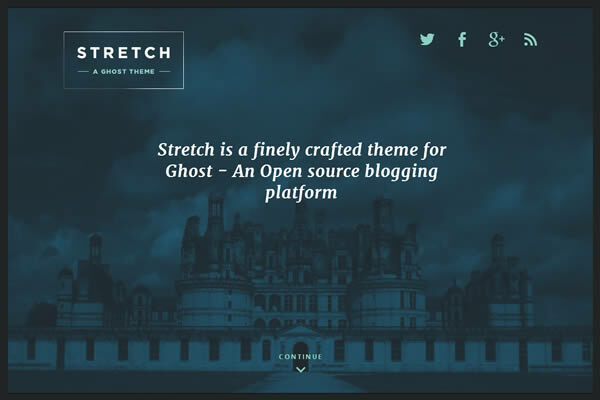 Stretch is a finely crafted blog theme for Ghost – An open source blogging platform. Along with a full-screen cover image that will introduce your blog to the world in style the theme also offers featured image and video support. Our themes are created with minimal styling to enhance your content and not overpower it.